Traveling abroad for a young person can be a life-changing experience. If you are a parent, teacher or youth group leader in charge of organizing this kind of adventure, you must feel the pressure to find that ideal destination that will make sure those life changes are for the better, and they will help your child or student grow to his or her best. 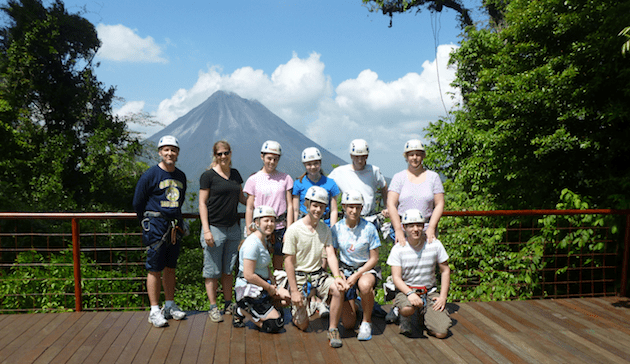 Costa Rica is the perfect place for high school student travel programs for many reasons. Some of those reasons are safety, diversity, and opportunities, but the most important one is the fact that the students can have fun at the same time as they learn. In a more practical manner, you should also consider the fact that is very easy to travel to and from Costa Rica from almost everywhere in North America, not only because you can choose from a great variety of flight itineraries and airlines, but also because many of those flight options are very affordable! 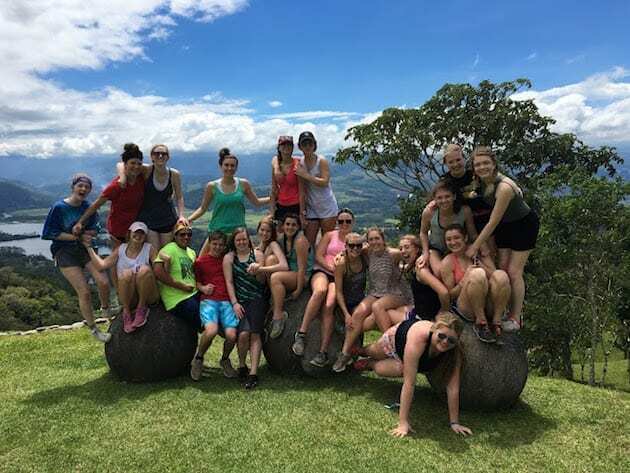 Also, if you want the students to feel close to home, remember that Costa Rica fluctuates from the Central Time Zone to the Mountain Time Zone, which makes it easy to be ready for action as soon as they arrive and also to keep contact with them during their stay.
. It won’t be too hot and it won’t be perennially rainy to keep them from having fun. Fun aside, there is no doubt that the first thing you need to know about the destination for a summer travel program for high school students is that your child or student will be safe. If you have been paying attention to international news, you will know that unlike many other countries in the region, Costa Rica is the one with real political and economic stability. Back in 1949, Costa Ricans wrote their latest political constitution that, among many other good things, abolished the army, gave the women the right to vote and used the army’s budget to educate its people, making education and health care the most important government responsibility. Since then, Costa Rica has been a peaceful country, and it has turned in the longest democracy in Latin America. But safety is not only about stability. It is also about the availability of resources, and when it comes to medical care, Costa Rica is also ahead in the game. Public medical care is everywhere in the country, and it’s available and mandatory for every underage person, insured or not, but you will have to deal with waiting lines and pay a small fee. Now, if you have international health insurance or travel insurance, private care is also everywhere in the country, and in the Central Valley, you have access to top-of-the-line private clinics and hospitals. To give you more reassurance, Costa Rica is a top destination for medical tourism. In 2017, this industry represented almost half a billion dollars in revenue, and 83% of the patients came from the USA. The medical tourism in Costa Rica is growing due to international prestige for the Costa Rican medical professionals, safety conditions in the medical facilities and the existence of bilingual professionals. However, the most important thing is that everything must be done to ensure your child or student safety, to avoid the need for medical care. When it comes to tourism, Costa Rica is also an experienced and extremely professional country, in fact, since 1999 tourism is the main income generator in Costa Rica; therefore, people in the business are trained, experienced and committed to giving visitors the best possible experience under high standards of quality and safety. Costa Rica is known internationally for its commitment to the environment. The best example of the relationship this country has with nature is the fact that over 25% of its territory is under some kind of wildlife protection. Imagine your high school student summer travel program making this setting the natural “classroom” for your child or student to learn about the value of nature and the importance of its conservation, as he or she can discover biodiversity like no other. In addition to that, Costa Rica is such a small country, that traveling from one end to the other, from one coast to the other, only takes hours, making it possible to have as many different natural “classrooms” as you want in a short amount of time. Your high school student travel program doesn’t have to concentrate on one part of an ecosystem. For example, you can visit the source and mouth of the same river on the same day, like the Savegre River. Your program doesn’t have to concentrate on only one ecosystem at all since you can include such different scenarios as rainforests in the Northern Lowlands or the Caribbean Coast, dry forest in the Pacific coast, Tundra forest in the highlands of the Talamanca Mountain Range or cloud forests in the Central Volcanic Mountain Range. Students Want to See Volcanoes! All of them, except Turrialba, can be visited and they offer the opportunity to learn about geology, nature, and energy production. That been said, during your high school student travel program you can include a great variety of adventure activities, like ziplining or canopy, whitewater rafting, surfing, snorkeling or hiking, that will add to the learning process as it will stretch students limits and pull them out of their comfort zones allowing them to grow as individuals. 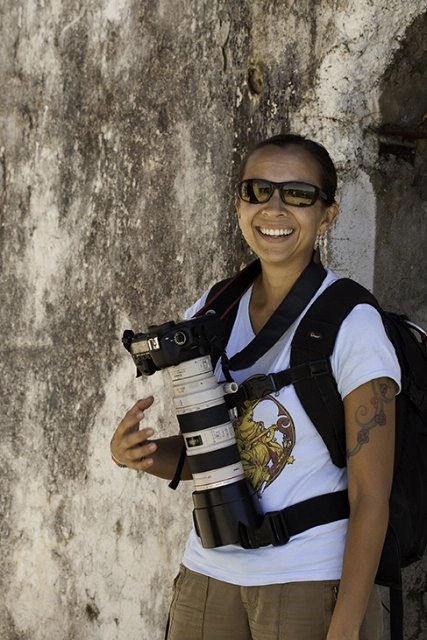 Like we mentioned before, Costa Ricans are very well educated people. Elementary education is free and mandatory in the country and almost a quarter of the adult population has a university degree. This level of commitment to education and wellbeing can only result in courageous and passionate people with high values of honesty, respect, positivism and hard work. 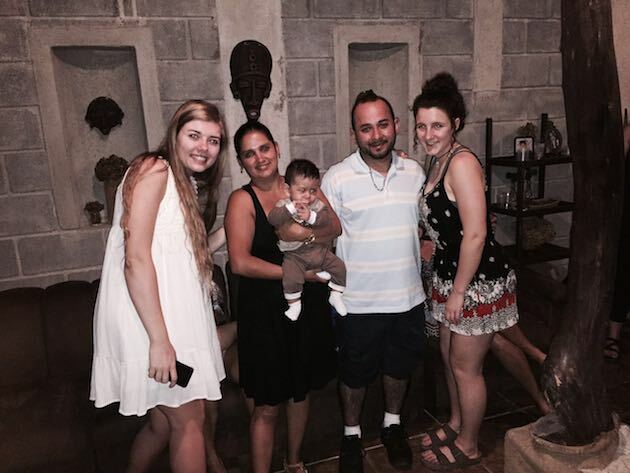 Costa Ricans also value family like no other, keeping their young and old family members close to home and raised with a sense of community and family love. After all, Costa Rica has been declared the happiest country in the world for several years by Happy Planet Index and featured as such by National Geographic Magazine. During your summer travel program for high school students in Costa Rica, you can include authentic Costa Rican homestays where your child or student can learn about all those values and how to be happier at the same time that he or she can experience a full Spanish immersion. 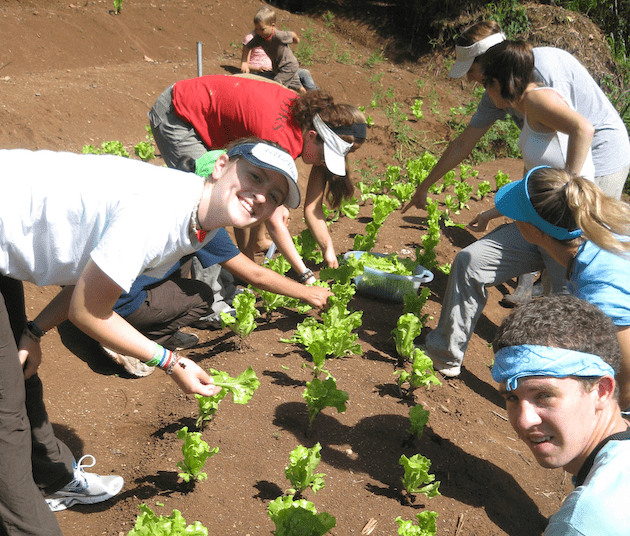 Another great lesson your child or student can learn in Costa Rica during their summer high school student travel program is about economics, the economics of their daily life. Maybe at home or in your classroom, you have been talking about agriculture, or electricity or rural and urban economics, but the message might not have sunk in. In Costa Rica, they can visit different plantations and learn from farmers and plantation owners how different products like bananas, coffee, or peppercorn possibly make it to their lunch table. They can also learn how chocolate is made or where sugar comes from, all by experiencing the source. Also, Costa Rica prides itself in having a 99,4% electricity coverage, and since 2014, the entire production of that electricity has been by using clean sources, like hydroelectric dams, eolic power, geothermal energy or solar power. Some of these sources can be visited, giving you the opportunity to show your students or children how to produce electricity with less cost on the environment. Also, by choosing to include homestays and rural tourism activities, your summer travel program for high school students can also show the participants how families and communities unite to organize alternative sources of income, always thinking of the wellbeing of the environment, their own children, their communities and the visitors. As part of that positive growing experience, consider including volunteering time for your summer high school student travel program. This will not only make a difference for a less fortunate family or a community, but it will also offer a chance for your child or student to work for a cause and see tangible results that will also make a difference in their way of approaching life. Costa Rica Explorations knows first hand how much that means for both ends of the equation. In our over ten years of experience organizing and leading this kind of travel experience through our Costa Rica student travel programs, we have created strong and positive partnerships with local community organizations. 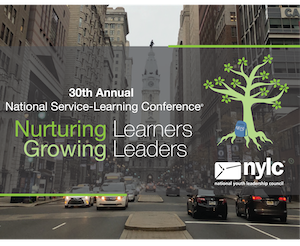 And in the process, and with the help of hundreds of served students, we have witnessed how completed service projects have helped communities and made a positive impact for everyone involved. 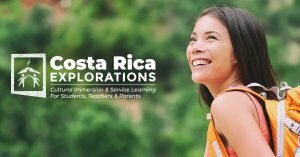 Plan a Student Trip to Costa Rica! Please contact us if you would like to talk about potentially planning a high school summer travel program to Costa Rica for students. We are accepting applications if you decide that a Costa Rica educational trip is right for your student group!